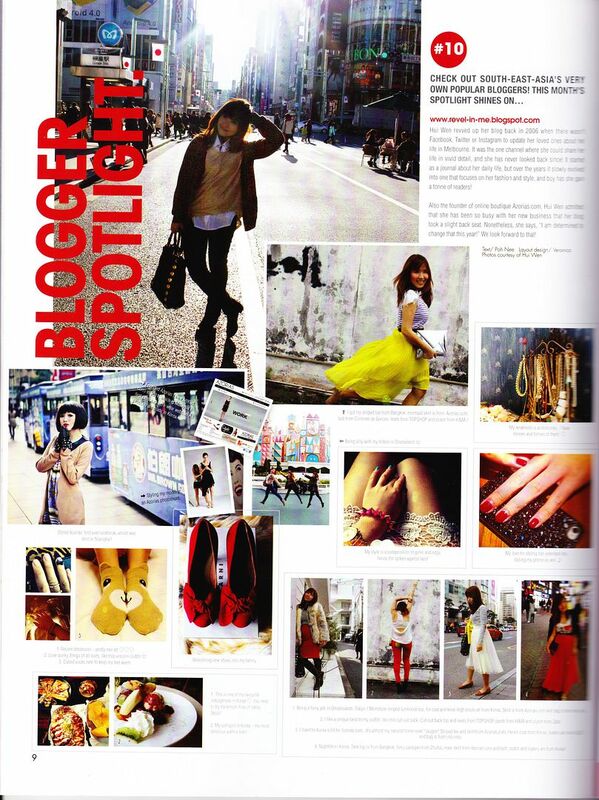 Revel in me...: Vivi Malaysia feature. 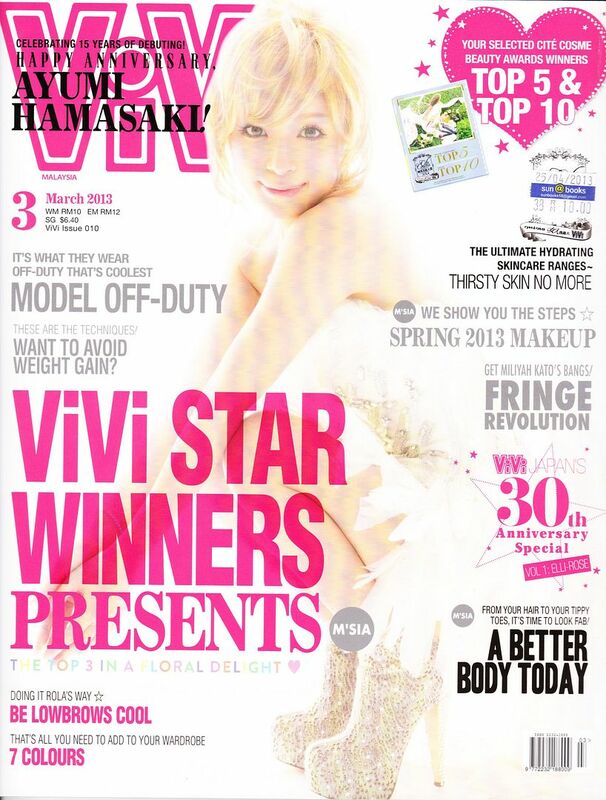 Ayumi on the cover. I swear to god this woman NEVER ages. Thank you SO much to all of you for following me through the years, and if you are a new reader, thank YOU too! Feeling sentimental now because I wouldn't be anywhere without any of you. And I am not PMS-ing, so these are all my TRUE thoughts! Hehe. Thank you thank you thank you, I love you all! congratulations! you are an inspiration! :) oh btw where did you get that yellow flowy skirt (as featured in vivi)? it is crazily beautiful! argh! is it possible to restock? it's the perfect, happy skirt!